This cocoa is not for the faint of heart. It is real chocolate, it is thick, it is rich, and it is amazing. Amazing in a new and exciting way. I had to get my head about the fact that I was not going to be drinking chocolate and sugar flavored water with crunchy mini marshmallows… I was going to be experiencing a really authentic and decadent flavor. The cocoa itself is quite remarkable with it’s rich velvety texture. I went and added some marshmallows and whipped cream because I am a sugar addict and marshmallows make me happy. It can be hard to show the texture of a drink, but I think you can actually see just how thick this hot chocolate is. This cocoa is not for the faint of heart. It is real chocolate, it is thick, it is rich, and it is amazing. Pour the milk into a medium saucepan on medium heat and add the cornstarch. Once dissolved, heat the milk on medium heat just until it just starts to boil, then remove from heat. Add the chocolate immediately and begin stirring until the chocolate is completely melted. Carefully taste the hot chocolate and if it needs sweetness, add up to 1/3 cup sugar. The mixture should thicken quickly and as soon as that happens, remove the pan from the heat so the cornstarch will not thin. Recipe from Spanish Food. I have also used the Food Network’s recipe and liked it! Take care when adding the cornstarch that the milk is not to hot and that it is all dissolved completely. I rushed through this step once and ended up with lumps. I highly recommend using a good quality chocolate, one with a high percentage of cacao. I like between 60% and 71%. You can use a milk chocolate but then you may not need to add any sugar. This is also a great dipping sauce. I think I most equated it to a hot ganache… so cookies and biscotti were a perfect compliment. 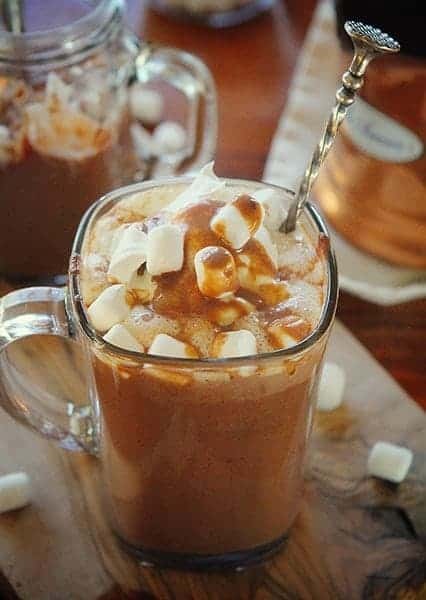 I would love to try this with a homemade marshmallow and whipped cream that has little to no sugar added, as I love the texture of both but this drink doesn’t need any added sugar! Want a classic? 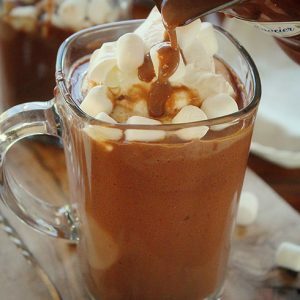 Try my BEST HOMEMADE HOT COCOA here! Just look at how thick this hot cocoa is! I am so craving a warm mug right now!! Omgosh – this looks incredible! I agree that it’s probably amazing as a dip and for dunking cookies or biscotti! It looks so rich and creamy. Thanks for sharing! One of my favorite treats ever! I had this for the first time on my honeymoon (in Spain) and it was a revelation! Your spanish hot chocolate is very delicious. 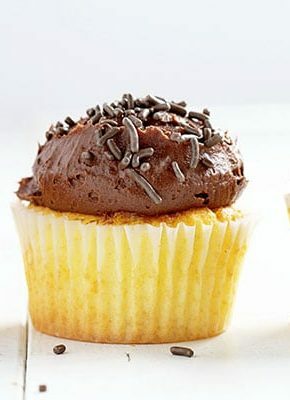 As i am a baker i like to know different recipes of cakes. 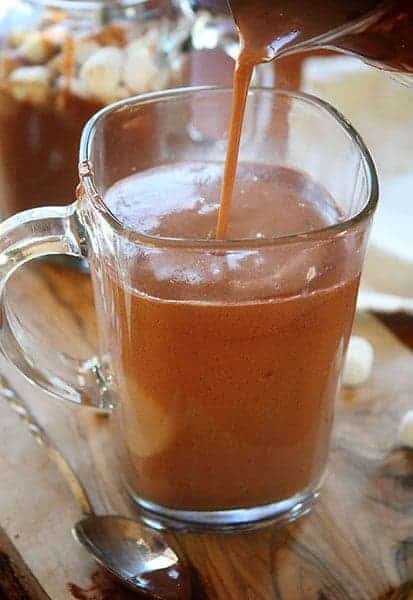 I tried this spanish hot chocolate, its really tastes awesome. Thank you for sharing with us. Whoa!!!! 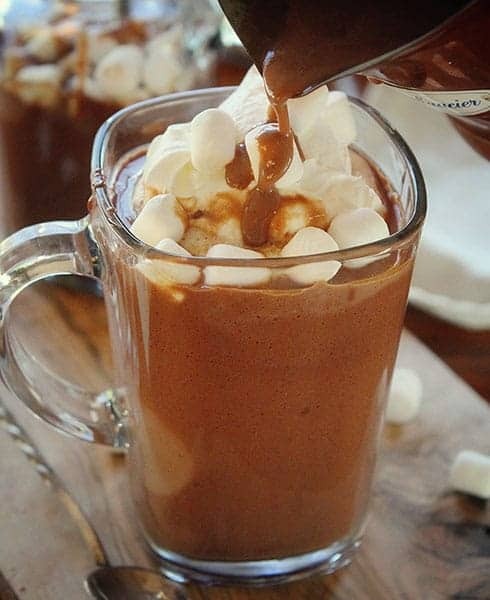 now, this is hot chocolate!!! total decadence . . and I love it!!! I, like Allie, had this one time in Spain and it blew my socks off! 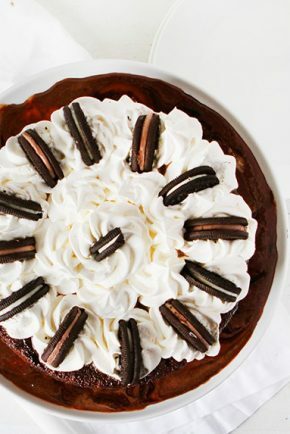 This looks sooo fantastic. I feel transported back to that moment. With this cold weather Im drooling for a mug of it. I recently opened a food blog, would you like to check out my recipes? Yum! I could drink hot cocoa all year – sometimes I even get it in June. Thanks for the recipe! Love how thick and rich this is! 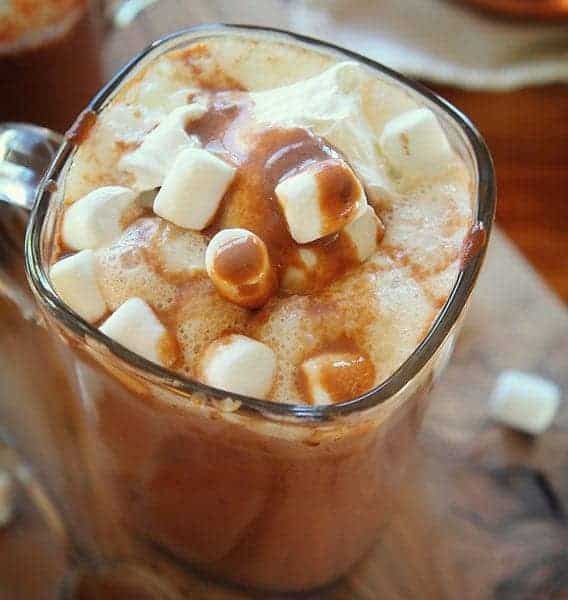 It’s so cold here and all I want is to get cozy with a big mug of this hot chocolate! 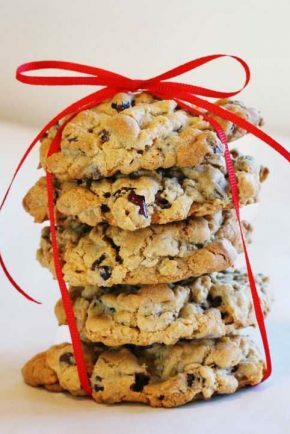 Yummy and Thanks for the recipe…..! Definitely i will try this. 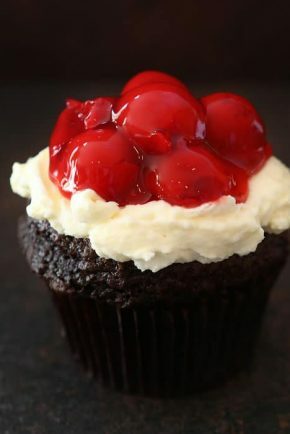 It really looks yummy. Thank you for sharing such good info with us. Spanish chocolates usually have “cinnamon”. No, Mexican chocolate maybe has cinnamon but Spanish chocolate will never. Lived in both countries and Spanish ‘chocolate con churros’ was the treat that I could rarely afford; but all visitors were taken to the local Pastelería for the specialty. I’m originally from Spain 🇪🇸 I have been in the US for 40 years, but the Spanish chocolate is a must in our home with my family year after year. I do use corn starch and all around Spain we used it. This is perfect recipe. Thanks for sharing.